On 16 January 2017 we held our annual Students’ Question Time event. Following on from our main Question Time event in October, where we invite politicians and policy makers to debate on questions asked by our students, Students’ Question Time gives our students the opportunity to get involved in the debate themselves. 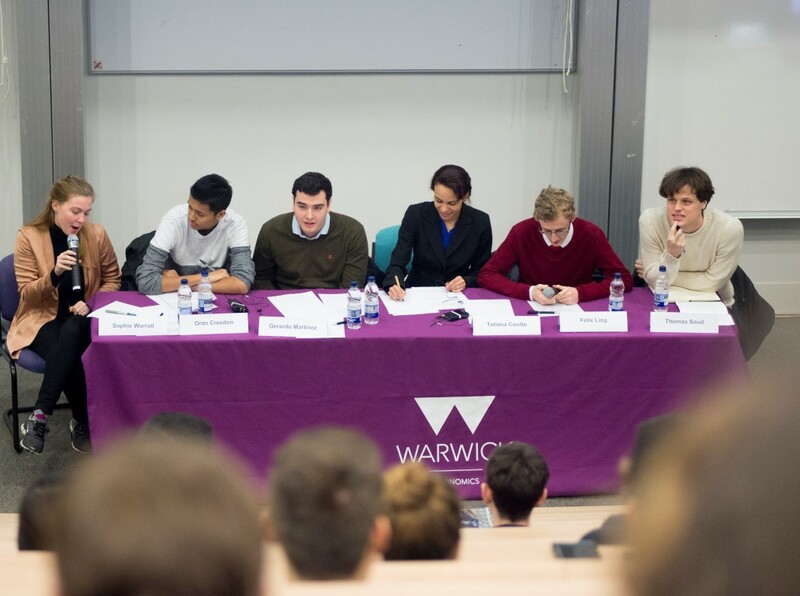 Five students from Economics, Politics and PPE had the opportunity to sit on the panel with Chair Dr Tatiana Coutto to discuss this year’s topic -Brexit. The audience participated actively providing well-thought out counter arguments to our panellists comments, making for interesting discussion. Questions asked by the audience tackled issues such as whether the United Kingdom will benefit either socially or economically from Brexit, whether the British public were well-informed about the consequences of their vote, effects on graduate jobs, and what could be done to combat acts of discrimination as a result of Brexit. Our panellists dealt with the questions extremely well and it was clear that they had arrived well-prepared with enough research and statistics to support their opinions. Sitting on the Students’ Question Time panel gives students the chance to develop both their confidence and public speaking skills. I really enjoyed being on the panel. It was a great opportunity for us to discuss and reflect on issues such as Brexit- and challenge each other’s views. The audience was engaged and had good observations and questions. I thought the diverse range of views among the panelists made the debate very interesting.